All Domestic Retail orders are shipped U.S.P.S. FREE SHIPPING Domestic Orders over $100.00 will receive free shipping. International orders will be shipped by U.S.P.S International rates will be applied. Production Items (Items that are custom made or hand made) may take 7 to 14 business days to ship depending on the time it takes to produce the item. We use several distribution centers so if all items are not at one center you will receive more then one package. If there is an issue with your order we will notify you by e-mail that you will receive more then one package. Most orders take anywhere from 3 to 10 business days to arrive to customers once shipped. Eye Candy Sensation accepts ApplePay Howevver to use ApplePay you must be on the IOS platform. 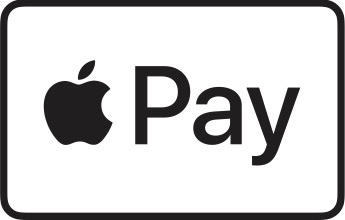 To pay with ApplePay you must be on your IPHONE, IPAD or IMAC. Eye Candy Sensation Accepts Amazon Payments. Amazon Payments lets you pay easily and securely on our site with the information in your Amazon account. When you're ready to buy, simply click the Checkout with Amazon button, enter your e-mail address and password, and select from the shipping and payment information stored in your Amazon account. Checkout is quick and easy. You don't have to re-enter credit card numbers or addresses. Shop confidently knowing that your payment information is protected. All your purchases are protected by the A-to-z Guarantee, the same buyer protection plan available at Amazon.com. The condition of the item you buy and its timely delivery are guaranteed. Eye Candy Sensation accepts Major Credit Cards Discover, American Express, Master Card, Visa Card. Be advised if you are paying for your order with PAYPAL your order will not ship until we receive payment from PAYPAL which can take about 4 to 5 business days to clear.